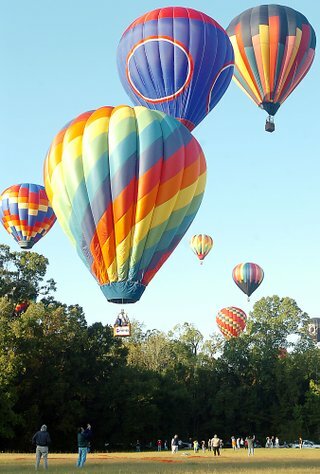 Fifty seven pilots from as far away as Ohio, Florida, and New Mexico competed in the 25th Annual Great Mississippi Balloon Race on Friday, Saturday and Sunday. Light winds with plenty of steer and pleasant temperatures contributed to good scores on the five competitive tasks on Saturday and Sunday morning and to enticing big crowds to attend the entire event. The three day event began Friday morning with a media flight and balloon-bicycle biathlon. 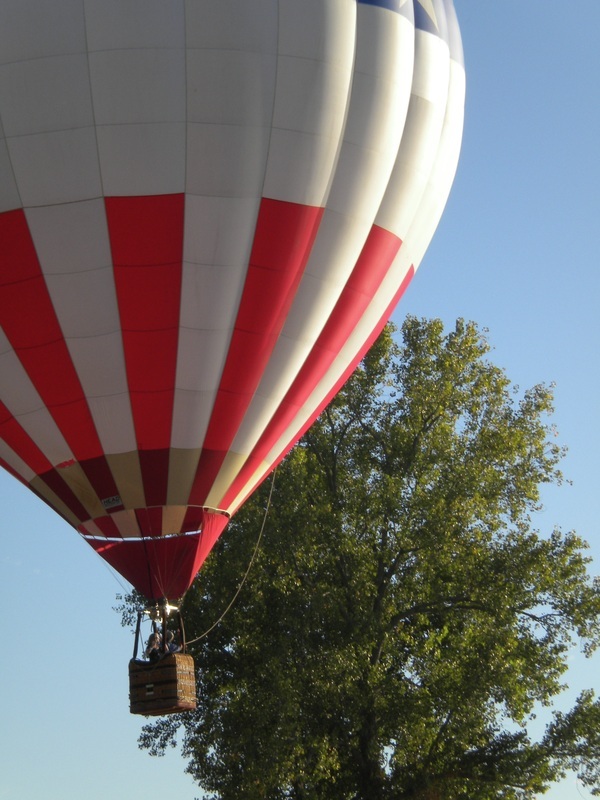 Balloon pilots, who carried a cyclist as crew in the basket, followed a hare balloon, threw a marker and then looked for a landing place. The cyclist then retrieved his bicycle from the crew truck and raced back to the finish line at the city’s convention center. Pilot Mike Hanson and his cyclist, Lena Yarbrough were first and Pilot Jim Birk and his cyclist Curtis Moroney were second. Balloons glowed on each side of the Mississippi River Friday evening before fireworks lit the sky over the water. On Saturday morning Event Director Bill Cunningham called a three part task. Cunningham set a fly in at a field behind the Natchez Mall and also laid out a Gordon Bennett Memorial in the shape of a happy smile with teeth as a memorial to long-time pilot Dan Martindale who died since last year’s event. In the third task, Cunningham flew Martindale’s balloon, Happy Tooth, in a Watership Down as winds took the field across the river to Louisiana where the X was displayed on a levy. Saturday afternoon organizers had a barge towed to the center of the river and as tradition dictates pilots attempted to drop a marker on the barge. Although not part of the overall championship the barge drop is a fan favorite. 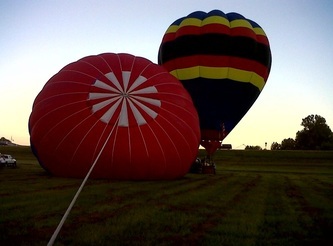 However lights winds which carried the balloons over the river and downstream, discouraged many pilots from flying. Texas pilot Sam Edwards was one who launched from the Mississippi side and the winds carried him downstream and over the barge and he was the only one to score. Oberheide was another who flew but missed the target and then was not able to reach either shore and had to be towed by a boat from the Mississippi. The final competitive flight on Sunday morning was a two part task with pilots again visiting the mall and then flying on to an historic park in the city. Favorable winds provided pilots plenty of steering and the crowds at both sites plenty to cheer about. Tom Oberheide of Cary, Ill. finished first with Pat Cannon of Lewisville, Texas second and Jim Birk of Defiance, Ohio, third. Joe McKay of Sharon, Miss. was fourth and Joel Jones of Seale, Ala. was fifth.